Publius Licinius Cornelius Valerianus was the eldest son of Roman Emperor Gallienus and Empress Cornelia Salonina. 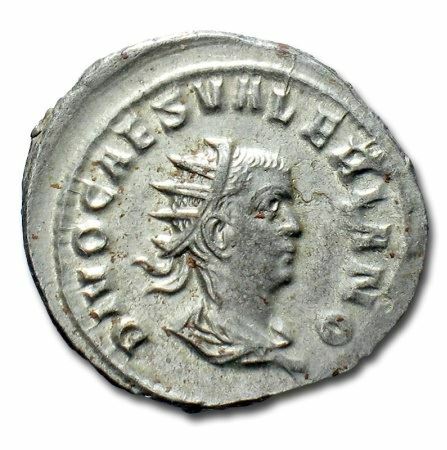 Shortly after his acclamation as Emperor, Valerian I made Gallienus his co-Emperor and his grandson, Valerian II, Caesar. He was placed in the care of one Ingenuus, who seems to have held an extraordinary command as governor of the Illyrian provinces. In 257, Valerian II died under circumstances sufficiently suspicious for Gallienus to attempt to demote Ingenuus. It was this action that sparked the attempted usurpation of the Empire by Ingenuus, who had widespread support among the Illyrian garrisons and the provincial establishment.